Centre Living Homes, LLC is a Dallas infill custom home building company dedicated to quality, solid state of the art construction, excellent craftsmanship, modern features, and service beyond the sale. The company has the purchasing power and unit pricing of a large public home builder while still focusing on a limited number of homes each year with close, personal attention, quality, and style. Centre Living Homes also builds amenity centers for Green Brick Communities and third party developers. The company is run by Trevor Brickman, who grew up in the building business and has a M.S. Degree in Construction Management. 6 years of experience building premier centrally located neighborhoods in Dallas. 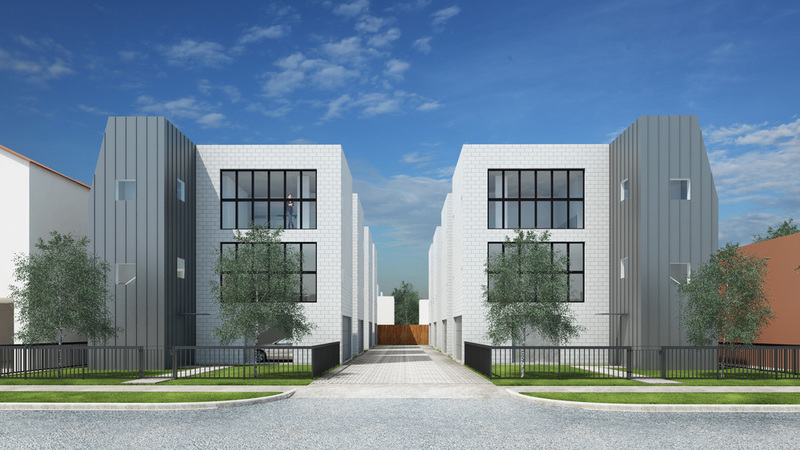 32 tri-level single-family homes currently under construction in Richardson, Texas. Recipient of four Dallas Builders Association McSAM Awards. Centre Living Homes' beautiful homes are currently available in 4 communities across Dallas. Centre Living Homes is dedicated to quality, solid state of the art construction, excellent craftsmanship, modern features and service beyond the sale. Learn more about what makes Centre Living Homes one of the most desirable custom homebuilders in Dallas.